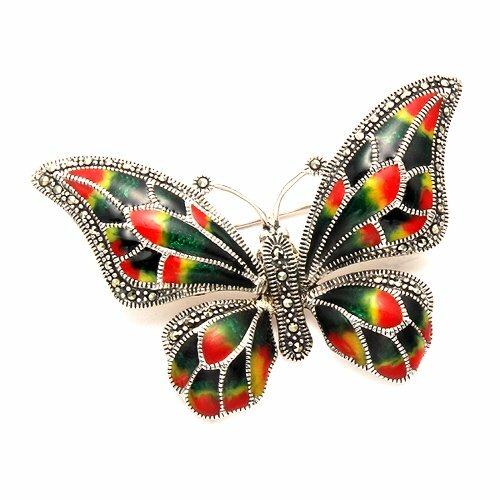 Sterling Silver Multi Color Enamel Butterfly Pin w/Marcasite Stones by Wild Things at Lamont Design. MPN: MPN241. Hurry! Limited time offer. Offer valid only while supplies last. Height 1½" x Width 2¼"
If you have any questions about this product by Wild Things, contact us by completing and submitting the form below. If you are looking for a specif part number, please include it with your message.